Newest member of distinguished group charged with developing great tasting and nutritious entrees for Nutrisystem Weight Loss Program; celebrity chef Mark Estee hosts culinary confab in Reno. Nutrisystem founded the Celebrity Chef Culinary Council in 2011 to bring fresh insights about ingredients, entrée innovation and culinary trends to the Nutrisystem menu. Celebrity chef Mark Estee, owner of Reno’s newest hit restaurant CAMPO and the popular Moody’s Bistro, played host this week to the Nutrisystem Culinary Council’s quarterly meeting where ACafé Chef and co-owner Andre Carthen officially joined the group. Nutrisystem, Inc. (NASDAQ: NTRI), the leading home delivery weight loss program, founded the Culinary Council in 2011 to bring fresh insights about ingredients, entrée innovation and culinary trends to the Nutrisystem menu. Estee, a founding member of the select group, along with Chefs Kent Rathbun (Iron Chef America Winner, Rathbun Concepts), Michael Solomonov (Iron Chef America Contender, James Beard Winner, Zahav), Tony Mantuano (James Beard Winner, Top Chef Masters, SPIAGGIA) and Carmen Gonzalez (Top Chef Masters), welcomed Carthen (ACafé, culinary consultant to Janet Jackson) to the team. As a member of the Nutrisystem Celebrity Chef Culinary Council, Carthen’s responsibilities, along with the other chefs, include acting as a culinary advisor, providing culinary guidance and direction to the Company, as well as contributing and assisting with writing recipes and developing new food products to improve Nutrisystem’s current food portfolio with the latest culinary trends. Mark Estee, owner of newly opened CAMPO in Reno; also known for his dedication to local products and his acclaimed restaurants in Nevada and California. Carmen Gonzalez, known in the culinary world for over 20 years as a talented and award-winning chef, as well as for fusing Puerto Rican influences with modern American cuisine; most recently a finalist on Top Chef Masters Season 2 and soon to have her own Spanish-language TV show released on two different networks, the US Hispanic targeted Canal Ella to be launched in February 2012 and cable channel Casa Club TV. Tony Mantuano, chef/partner of the only four-star Italian restaurant in Chicago, Spiaggia; a James Beard Foundation winner for Best Chef of the Midwest and a finalist on Top Chef Masters Season 2. Andre Carthen, the newest member of the council and chef and co-owner of ACafé; culinary consultant to Janet Jackson, as well as a contributor to Janet’s number one, New York Times best-selling book, “True You”; also has appeared in all of Kathy Ireland’s platinum-selling fitness videos. 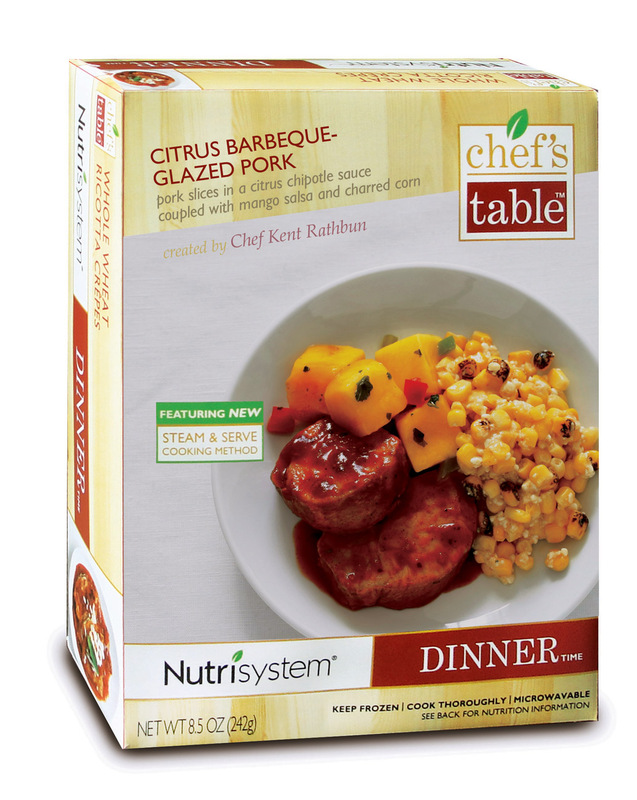 The Chef’s Council has already produced its first entrée collection for Nutrisystem. The Chef’s Table™ Collection features seven frozen dinners using new microwaveable steamer bag technology; entrees include Citrus Barbeque Glazed Pork, Steak Tagliata and Moroccan Inspired Chicken. Each Chef’s Table Collection meal bears the name and photograph of the chef who created the entrée. 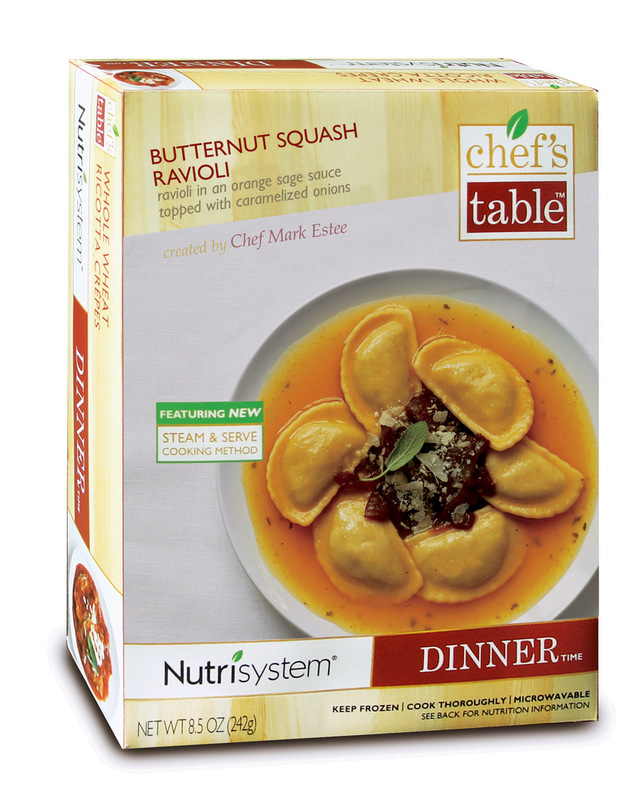 Nutrisystem plans to introduce five additional Chef’s Table Collection entrées this April. The next Nutrisystem Chef’s Council meeting will take place in Philadelphia in June. To learn more about Nutrisystem and its Celebrity Chef Council, please visit http://www.nutrisystem.com/success4u or by calling 1-888-841-2572. Nutrisystem, Inc. (NASDAQ: NTRI) is the number one home delivery weight-loss company. Nutrisystem® products are sold direct to the consumer through nutrisystem.com, by phone, and at select retailers, with convenient home delivery. The Company offers proven nutritionally balanced weight loss programs designed for women, men, and seniors, as well as the Nutrisystem® D® program, specifically designed to help people with type 2 diabetes who want to lose weight and manage their diabetes. The Nutrisystem program is based on 40 years of nutrition research and the science of the low glycemic index, and offers a variety of great tasting, satisfying, good carbohydrate meals that are designed to be heart healthy. The program was named the "Least Expensive Home Delivery Program” by CBS Money Watch in January 2011. The program has no membership fees and provides weight management support and counseling by trained weight-loss coaches and online and mobile weight management tools free of charge. Nutrisystem proudly supports the American Diabetes Association in its movement to Stop Diabetes™, as well as to help in increasing awareness of the correlation between weight loss and improvements in diabetes control. For more information or to become a customer, visit http://www.nutrisystem.com or call 1-800-435-4074. For the healthcare professional, please visit http://www.nutrisystem.com/hcp. Follow Nutrisystem on Twitter @nutrisystem and on Facebook at http://www.Facebook.com/nutrisystem.